Public employee unions oppose the legislation, saying it would violate collective bargaining agreements. Donna Chiera, the president of the American Federation of Teachers in New Jersey, says the sick day payout at the end of their career amounts to a savings account for public workers who don’t have big salaries. Legislation that would further limit collectively bargained retirement benefits advanced Wednesday in Trenton, despite testimony from Donna M. Chiera on behalf of AFTNJ and representatives from CWANJ, AFSCME, NJEA, FOP and PBA. Ready to Work For A Cleaner, Greener New Jersey? 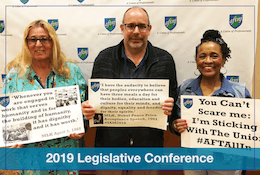 Delegates to AFTNJ’s 2018 convention resolved to advocate for environmentally-friendly measures to increase use of public transportation in the Garden State. 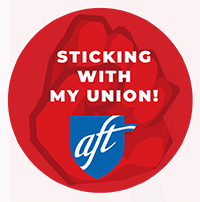 The committee is now forming and chair Dan Aronson, economics professor from Raritan Valley Community College-AFT, is looking for members to get involved. Former principal and veteran administrator Roger Leon has been chosen as Newark’s new schools chief — its first since the city regained control of its schools.